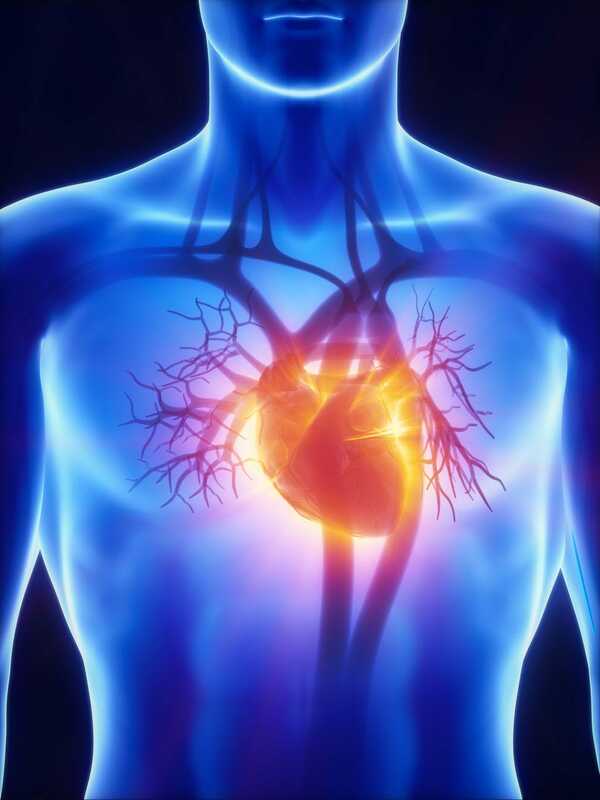 The EMPA-REG OUTCOME trial has shown that empagliflozin, an SGLT2 inhibitor, lowers the risk of death from cardiovascular disease in adults with type 2 diabetes. The LEADER study has found that liraglutide, a GLP-1 analog, significantly lowers cardiovascular death, MI, and stroke in patients with type 2 diabetes compared to a placebo. Thus, these newer drugs developed for the treatment of type 2 diabetes have been found to also reduce cardiovascular morbidity and mortality. In the future, endocrinologists and cardiologists can collaborate and consider these drugs in diabetic patients who also have cardiovascular disease. The PARTNER 2A randomized trial showed that TAVR (transcatheter aortic valve replacement) is safe and effective even in patients at intermediate risk of complications from surgery. With the FDA approving two valves for use in a sizeable group of previously excluded patients, the indication for TAVR has expanded to include populations at lower risk. This means that centers like the Cleveland Clinic with strong outcomes in both TAVR and surgical AVR (aortic valve replacement) can now choose the approach best suited to the individual patient's circumstances. The first 1000 robot-assisted mitral valve repairs at the Cleveland Clinic were associated with a mortality rate of only 1 in 1000, making the procedure 99 percent successful. Robotically assisted surgery for mitral valve repair is still not the standard of care, but could soon make a claim to this on account of the high success rate and low morbidity and mortality. In addition, the success rate further improves when computer algorithms are used to select patients who are good candidates for the surgery. The Cleveland Clinic successfully performed the world's first transcatheter tricuspid valve replacement in a 64-year-old woman in 2016, paving the way for treating tricuspid regurgitation with minimally invasive techniques. The procedure utilized a novel device developed at the Cleveland Clinic that is based on stent technology. A diffuser allowed the device to be threaded through the patient's vasculature to reach the intended site without protruding into adjacent chambers. The device then captured the diseased and enlarged tricuspid valve. Data from the PRECISION trial has shown that contrary to prior concerns, celecoxib, the only remaining selective COX2 inhibitor approved in the United States, does not confer any excessive cardiovascular risk to patients compared to two non-selective NSAIDs in widespread use - ibuprofen and naproxen. This large multicenter study that evaluated 24,000 patients showed celecoxib is associated with fewer renal and GI adverse events and may, in fact, be the safest of the three drugs studied. The Medtronic Micra and the St. Jude Medical Nanostim, the world's first leadless pacemakers, received FDA approval in 2016. The LEADLESS II clinical trial compared the Nanostim to transvenous pacemakers and found that patients with the leadless device had considerably fewer infections and complications, thereby debunking the argument that leadless pacemakers are unnecessary because transvenous systems are associated with very few complications. In fact, it appears leadless pacing could possibly eliminate the most frequent source of complications associated with implantation of pacemakers - the lead and the surgical pocket. A new gender-specific tool that measures risk based on clinical symptoms and exercise has raised the bar for predicting mortality from cardiovascular disease. The system developed by the Cleveland Clinic is available for free online and addresses the shortcomings in the Lauer nomogram and the Duke Treadmill Score, both established instruments to measure risk in patients who undergo treadmill testing. The new tool offers significantly advanced risk stratification and is particularly effective in identifying patients at a high risk of death from exercise-induced cardiovascular events. The COMMENCE trial will evaluate technology that could potentially revolutionize treatment with biological valves. The trial will follow more than 750 patients in need of valve replacement for five years post surgery. It is hoped that a new leaflet tissue platform developed at the Cleveland Clinic will be more durable and therefore better suited for use in younger patients. The new prosthesis is also designed to lower complications due to valve deterioration. Results of the trial will be available in approximately one year. The Absorb device received FDA approval in 2016 for the treatment of coronary artery disease in the United States. This fully bio-resorbable stent offers vascular scaffolding as well as local drug delivery in what is being hailed as a technical marvel. However, enthusiasm for the stent has been tempered by early results showing no inferiority, but no superiority either, compared to permanent metallic drug-eluting stents currently in use. The Cardiology community now awaits findings of the ABSORB III trial which is evaluating 2,000 patients. Results are expected in 2019. Cleveland Clinic surgeons have been working to develop techniques in which the advantages of open surgical repair (durability and control) are combined with the benefits of less invasive endovascular techniques using stent grafts. To this end, devices such as the B-SAFER stent graft device, the Thoraflex Vascutek, and several new endovascular devices have been developed to improve safety in patients deemed at high risk from open or hybrid repair of the aortic arch. The GLAGOV trial showed that PCSK9 inhibitors have an unprecedented ability to lower lipids. Evolocumab has been found to be unequivocally more successful in reducing atheromas compared to placebo in patients with coronary artery disease on treatment with statins. This level of plaque regression has never been seen before in clinical trials. Definitive outcomes of the trial are awaited, but there is already strong evidence that PCSK9 inhibitors are exceptionally good at reversing disease progression. Adoption of PCSK9 inhibitors has been sluggish, however, due to the high acquisition cost. Data from the five-year STAMPEDE trial has revealed good news - the beneficial effects of bariatric surgery on glycemic control in patients with type 2 diabetes are durable for at least five years. Thus, the metabolic surgery has advantages over medical therapy that appear to endure over time. In addition, post-surgery use of glucose-lowering and cardiovascular drugs was significantly lower in patients who underwent bariatric surgery. What's more, biomarkers that indicate an increased cardiovascular risk were also reduced post surgery.